Tonight at the third annual Nickelodeon’s Kid’s Choice Sports 2016 Awards some of today’s greatest athletes are honored by their youngest fans. The event was held of July 14 at the Pauley Pavilion in Los Angeles and is airing just three days later. But the man of the hour will be recent L.A. Lakers retiree Kobe Bryant, who will receive the Nickelodeon’s Kids’ Choice Sports Legend Award. The honor is given to athletes who not only excel at their craft but also serve as role models for kids around the world. So, it’s not surprising that a five-time NBA champion and two-time Olympic gold medalist like Kobe would take home this year’s statue. MediaMine’s archives feature the Stu Ross Before They Were Pros collection, which features footage of greats like Kobe Bryant, Tom Brady and many more when they were practically kids themselves. 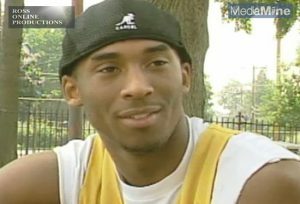 Check out Kobe when he was just getting started and far from dreaming of a day when they might take home one of the Nickelodeon’s Kid’s Choice Sports 2016 Awards.